The first priority is obviously to get money in exchange for products or services from your business. Your outstanding receivables can pile up quickly. Most businesses do not have the time or resources to stay on top of collecting overdue payments. When you give your commercial collections accounts to a leading debt collection agency such as Accounts Retrievable, you have a better chance of recovering the money owed to you. Our performance can be evaluated by you in reports provided by ARS. This is very important and sometimes throughout the collection process, your business name can be sullied. Whether you are attempting to collect your commercial collections or having a collection agency handle it, persistence, repetitive, increased phone calls will rarely get the job done. It is almost not worth it to collect the couple thousand owed to you, if it means that your business name comes with negative press and loss of clients. 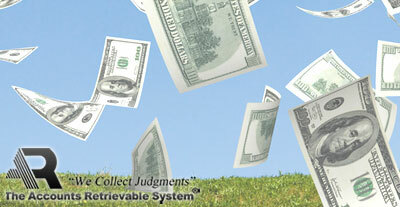 Accounts Retrievable System is a solution-based judgment collection agency that is dedicated to collecting from your debtors without being annoying and possibly creating complaints. Protecting your business brand is our top priority. We pride ourselves in solid and lasting relationships with our clients and their customers. It is important to utilize a company that is licensed, bonded, and insured so that they are responsible for following federal and state collection laws. With Accounts Retrievable, you can be sure that our team of professionals and attorneys know the laws and how to operate within them.